Normally, the two shoes that you have on your feet look the same. But in this case, where I create a work of art, I have more freedom to make something different, to make something with another expression than an ordinary pair of shoes.. 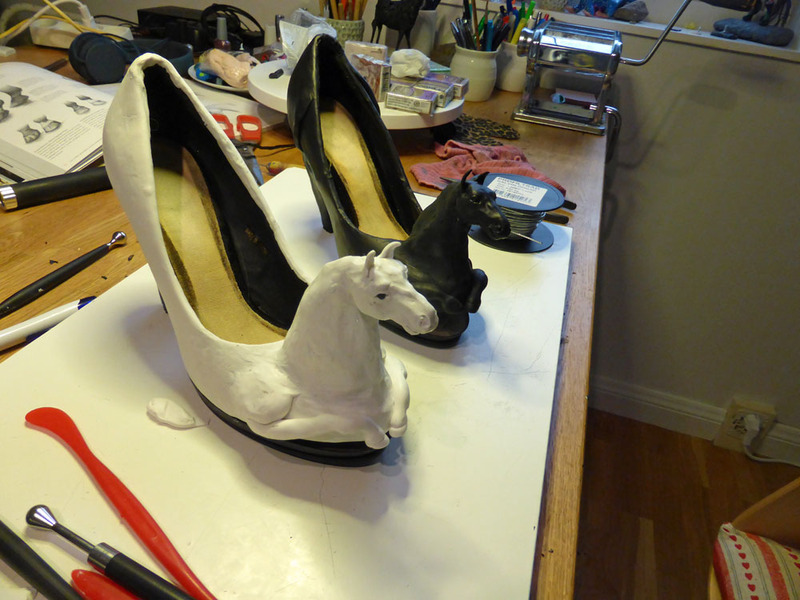 Therefore, I chose to do the other shoe white, so that the couple is one black and one white shoe. I created the white horse shoe in about the same way as the black. 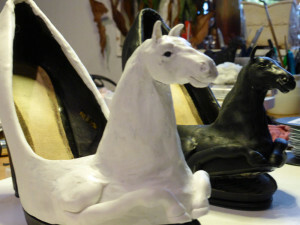 I started to cover a shoe with white clay and then I created a horse head and front legs on the front of the shoe. 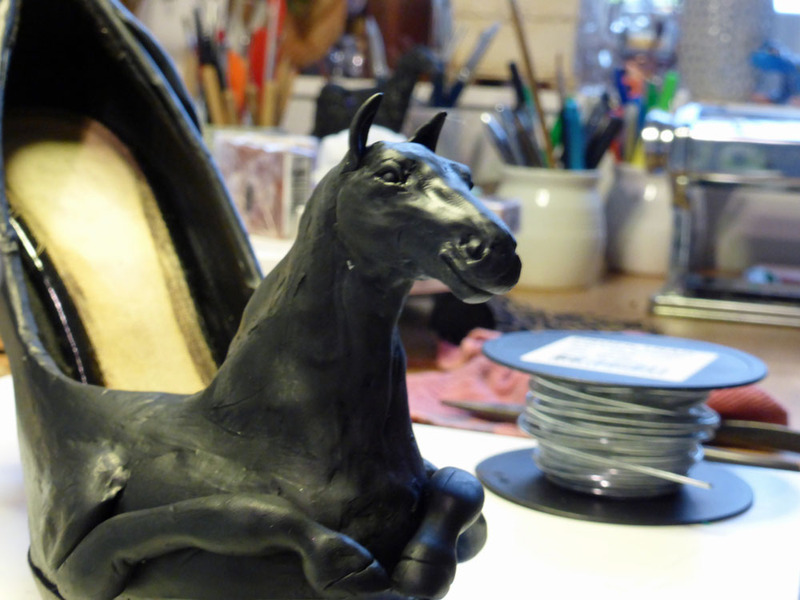 Once again, I created hind legs on the heel, but with white clay on a black heel, I had some more opportunities to create the illusion of thinner legs. It’s very exciting to see these two horses together. They have not only different colors, but they are a little different in personalities. Yet they thrive together and complement each other. It will be very exciting to see what they will look like when completed. Each walk I take, every time I drive a car, and every night before I go to sleep I think of horseshoes and try different designs and different opportunities in my mind.